So, it’s Wednesday, and I’m in the writing cave today. I have a new WIP I’m dealing with at present. One of those fly by the seat of your pants kind of stories. A new adult romance spinoff venture from Shadow Company. 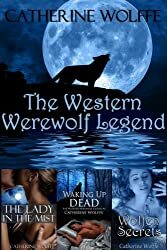 Vampires, shifters, magic, and danger all congeal in this thriller about a small town girl falling for the bad boy bounty hunter. Meagan Christiana turns twenty-one soon and among all the well-wishers are a few dangers she did not expect. Since she is all grown up and ready to start her own life, Meagan figures she can handle what comes next. Dorran O’Hare, an Irish born ex-SEAL is on the hunt. He has to save Cheniere Station from the Sultan’s diabolical schemes. Having tracked the evil one across the Veil to the sleepy little town in Louisiana, he fears for the woman the Sultan seeks. Her gifts are still a mystery to her, and he is the one chosen to show her the way. Here’s a sample of what’s in the works. Dorran’s breath on her neck had Meagan jumping back. “What the hell?” One look into his eyes and she could see he had been in her thoughts. How else did he know she wanted him to kiss her? A burning pressure radiated along nerve endings in her arms as he pulled her to her toes with those rough hands of his. Leather met cotton in that second. She blinked. What did he call her? It took her mind a full four seconds for the comment’s meaning to register. Was she a dish now? Meagan wondered what came next. “I want to kiss you. This is the only warning you’ll get. Better let me know whether you can handle it. Okay?” His wicked grin was back. Hope you liked the snippet. These two still have a long way to go. As the story unfolds, I’ll share more. Now, let’s see who read to this point. Drop me a line with your email address and let me know what you think. I’m keeping a tally and giving away copies once the book is released. Unfortunately for Saul, his peaceful existence is soon to be mercilessly destroyed. Evil is closing in on the Benton family and Red Creek, seeking to obliterate all Saul holds dear. Which makes Saul’s attraction to Nikki Galimore, a mortal woman, and brat extraordinaire, all the more inconvenient. Many thanks to the readers who shared a review of Beyond the Veil, Book One of Shadow Company. 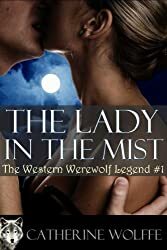 An excellent paranormal romance. Logan and Aubrie have that anger and sexual tension thing going on throughout the book. Wow, such stubborn characters! Great plot and well developed! I also enjoyed the secondary characters and feel they are going to be seen again. 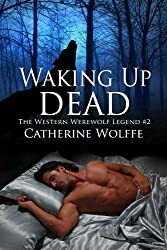 Catherine Wolffe can fill my Kindle any day! She is a master at her craft! This story will have you on the edge of your seat the whole time. If you love shadow walkers, seer’s, warlocks, demons, and spells, then you need this book. When Aubrie is taken by the demon shadow walker, Logan goes Beyond The Veil to get her back. This is a great story, and I can’t wait for book 2! OMG-WOW. .shadow-walkers, demons, portals, Netherworld, and veils, with Seers and Warlocks.. and Marie Laveau.. what a story. Details are intricate. .the story is intriguing and interesting. I love the characters. And am surprised by the story line… It took me differently than I thought it would. 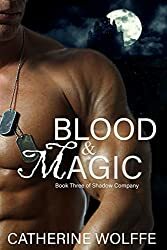 Aubrie Sinclair, a seer from a long line of empaths -meets-Logan Latimar, an ex-Navy SEAL, and warlock. Now Girl meets Navy Seal is enough to be a Super Hot read, but then add the paranormal to it and WOW!! Logan returns from war to work in his brother’s garage, but war doesn’t leave him, the dreams come, and they seem to bring not only the past but the present with them. Aubrie is not only a seer, but a budding author who lives alone with her two dogs, and a horse out in the country and gets visits from a friendly shadow-walker at times. But now she’s pulled into dreams of a war with the hometown hero Logan while being stalked by a demon portraying himself as a shadow-walker. Will she help Logan with his dreams? And will he rescue her from them and her own trouble with her stalker too? And will Love, the purest form of good help both? I don’t give away spoilers, just advice. READ THIS FANTASTIC BOOK!! An update on Beyond the Veil – A featured read in the upcoming Sizzling Summer Party hosted by The Romance Reviews. I hope you’ll join me June 1 for giveaways and prizes. Don’t miss your chance to stock up on loads of great reads just in time for summer. Now back to the writing cave. Deliberate Intent is nearing the HEA, and I still have work to do. (Smiling) Happy Friday and happy Memorial Day weekend. Thanks for dropping by!